Top with pesto and peppers. Family FunMake cheese and pesto trees! 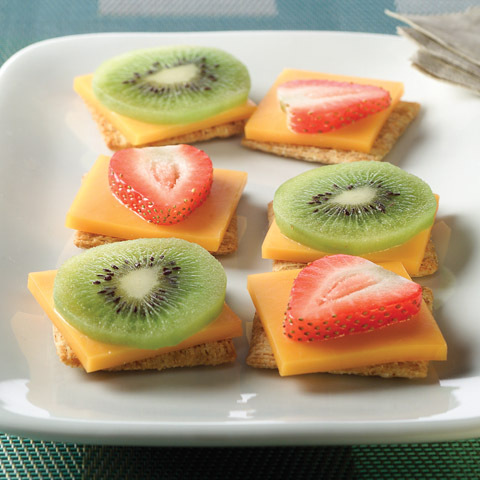 Cut cheese slices diagonally in half. 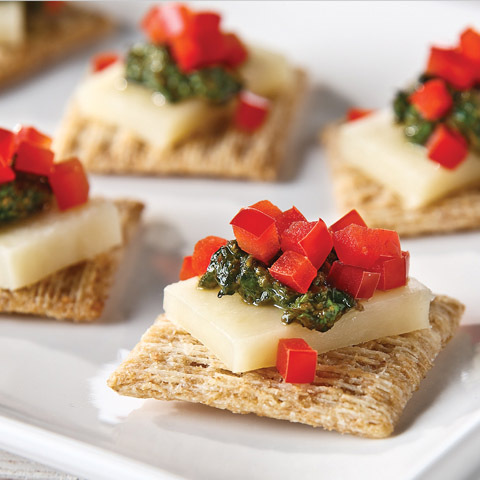 Spread crackers with pesto. 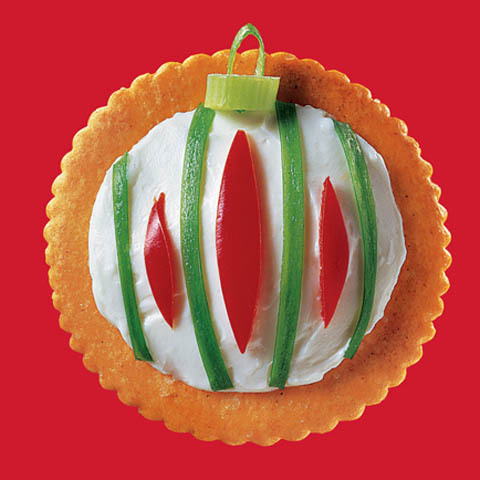 Top each with 2 cheese triangles to resemble a Christmas tree. Add chopped peppers for the tree decorations. 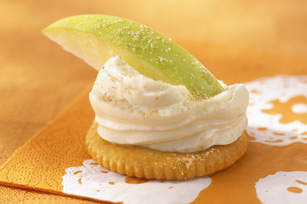 SubstitutePrepare using reduced-fat cheddar cheese.